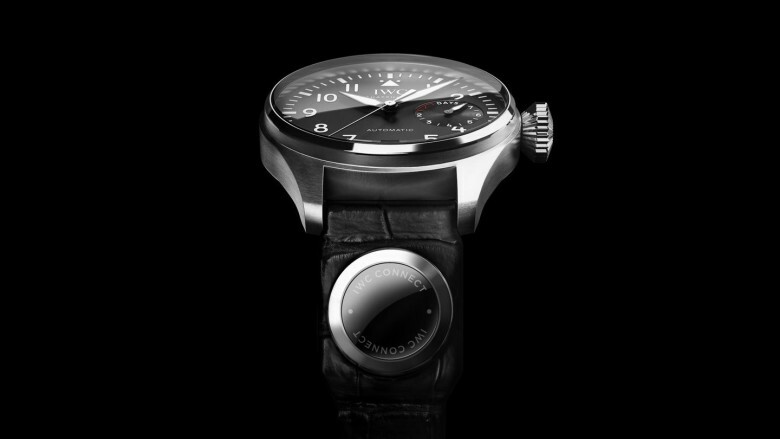 The Swiss Dreams Watchphone is an expensive pocket watch. 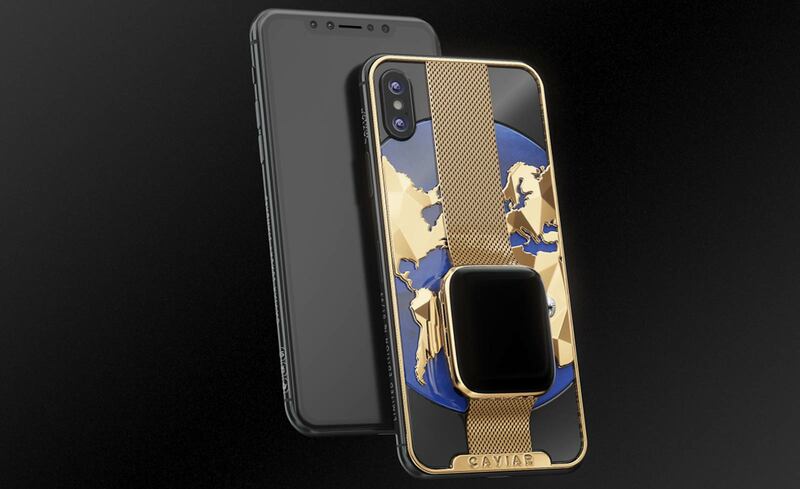 A customer brought an idea to his iPhone provider in Russia: What if you could make the iPhone and Apple Watch into one device? The client now has his iPhone-watch mashup and you can, too, for $21,130. 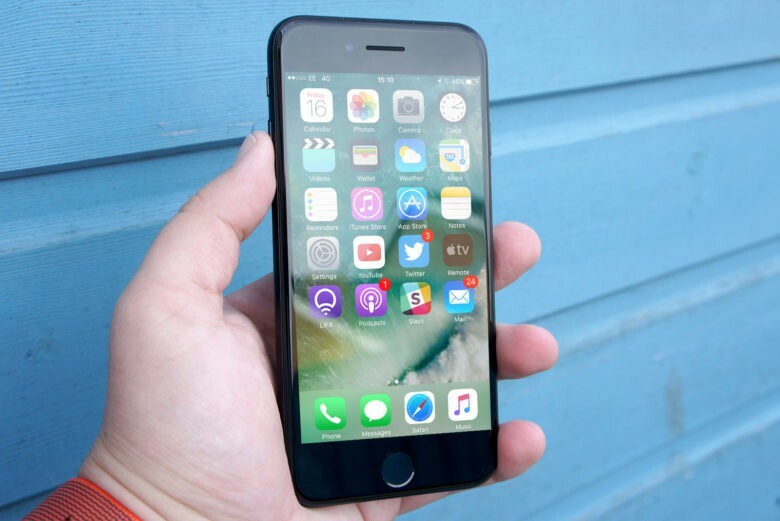 Think your iPhone 7 looks like all the others? 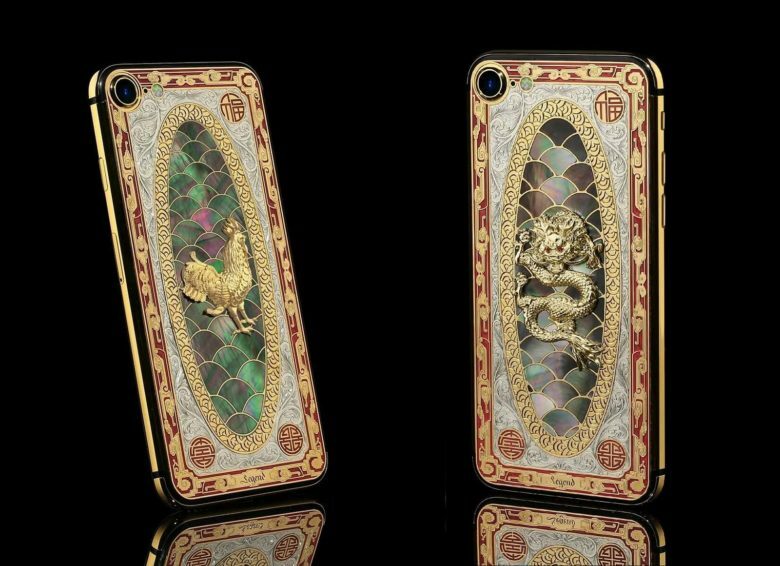 These gilded 7s, which includes one to mark the Year of the Rooster, were designed to appeal to the Chinese market. Martti Virta knew he wanted to create a luxury brand. He just needed an everyday object he could reimagine with opulence. Virta settled on the iPhone as his popular status symbol, but it proved a difficult surface to coat with gold. Why buy healthcare when you can eat an iPhone? Are you unable to afford your new health insurance premiums now that Obamacare might be going away? Well, according to Rep. Jason Chaffetz, you should trade in your iPhone. The GOP’s replacement plan for Obamacare has been met with plenty of hate from both sides of the aisle, but in an interview this morning, Chaffetz pointed out that people just aren’t focusing on how the new law will give us all more choices. 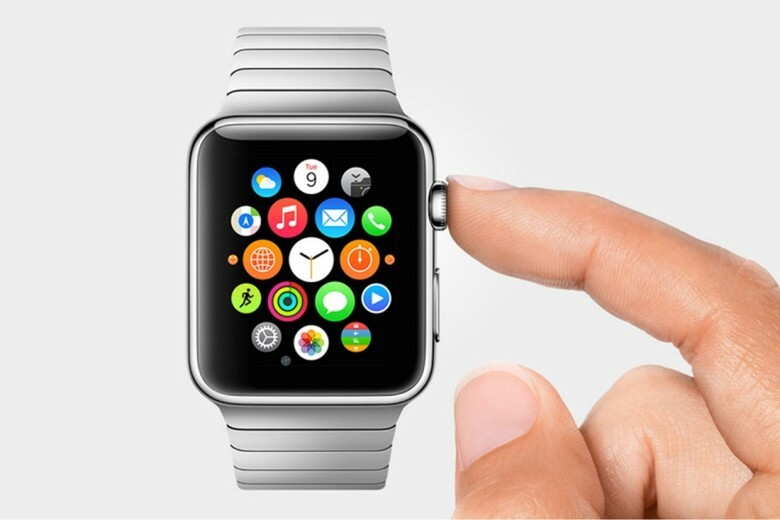 The Apple Watch was the only smartwatch which made the list. The Apple Watch has displaced Rolex on a list of luxury global brands, as measured by analytics firm NetBase, measuring social media mentions and consumer sentiment from more than 700 million posts between 2014 and 2015. The Apple Watch took the no. 1 place in the list’s “watches” category — made all the more impressive by the fact that it was the only smartwatch featured. Other watchmakers it outranked included Tag Heuer, Richemont, Curren and Patek Phillippe. 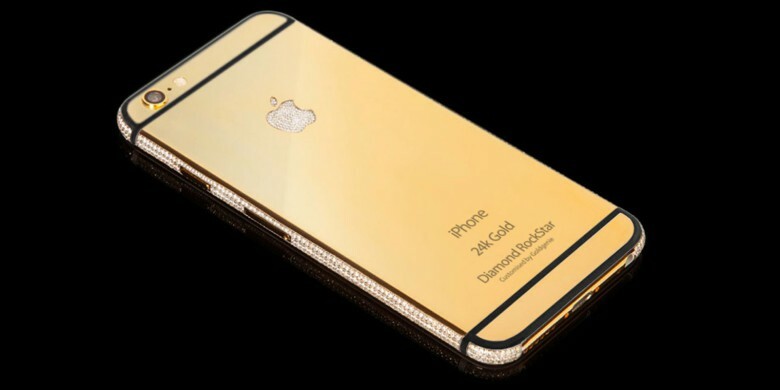 Goldgenie offers the iPhone 6s with a couple of additional upgrades, diamonds and gold. Sure you can get you MacBook or iPhone in gold or rose gold colors. 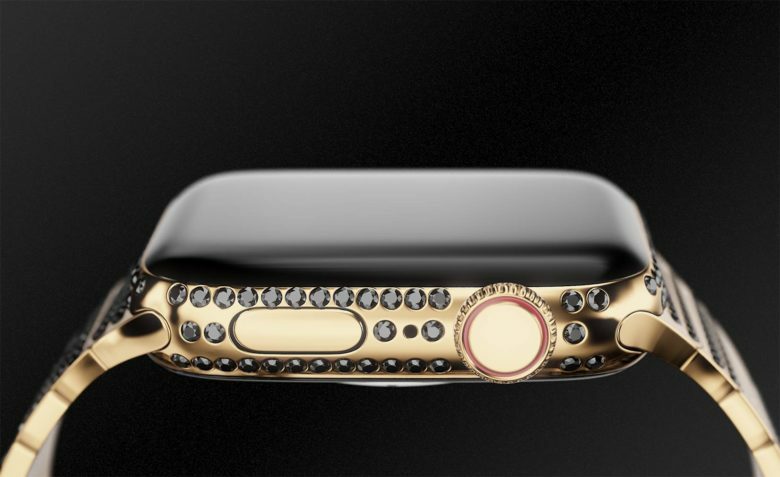 Or for a few bucks more – OK, several thousand dollars more – you can get your Apple products plated with real 24K gold. Maybe the bitten Apple logo on your devices is enough status symbol for you, but Goldgenie, with offices in London and Dubai, is betting there are a few Apple fans drawn to the hypnotic shine of the precious metal. 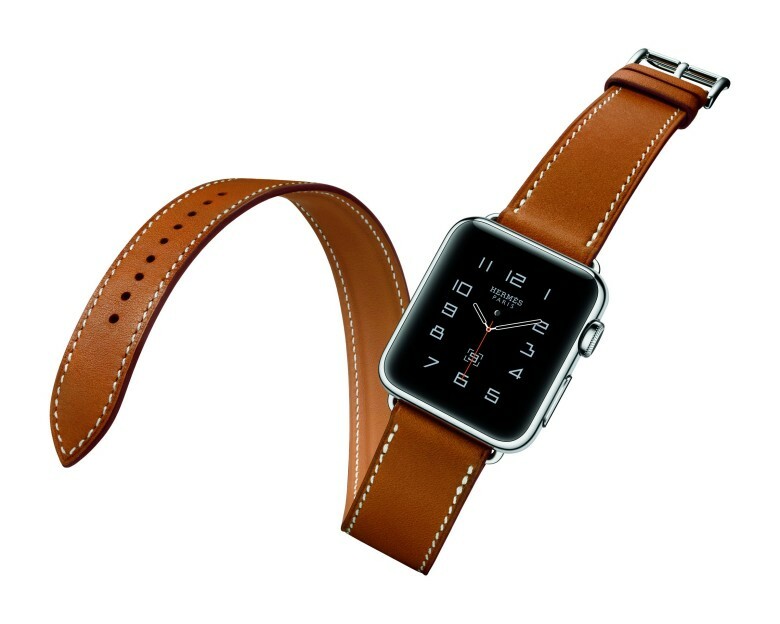 Apple couldn't wait to hop into bed with French luxury house Hermès. Jony Ive sure loves his designer goods, but don’t suggest to him that products like the new high-end Apple Watch Hermès are turning Apple into a luxury company. This from the guy who made a $17,000 smartwatch! If you need more evidence that the luxury Swiss watchmakers are as truly screwed as Jony Ive predicted, look no further than IWC’s laughable answer for keeping up with the Apple Watch. Jony Ive and his BFF Marc Newson launched Apple into the luxury market this week with the Apple Watch, which expertly straddles the line between gadget and fashion accessory. Apple’s dynamic designing duo sat down with Vogue’s Suzy Meeks this week to talk about their first foray into the fashion world — as well as what inspired them to create the Apple Watch. We rounded up the top 8 revelations from the pair’s appearance earlier this week, but Vogue just made the full interview available online, and it’s full of juicy insights into Jony and Marc’s thought processes. 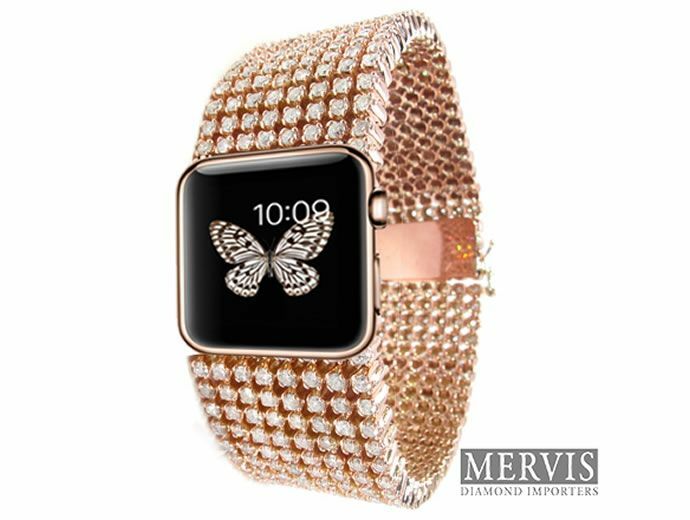 We don’t know when Apple Watch will hit stores, but if you can’t wait to strap your wrist with the most luxurious Apple product ever created, Mervis Diamonds has the perfect band to match the 18k gold Apple Watch you’ve been lusting after. And it’ll only set you back $30,150.